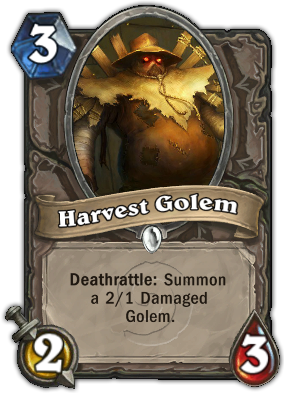 Description : Deathrattle: Summon a 2/1 Damaged Golem. Quote : "Overheat threshold exceeded. System failure. Wheat clog in port two. Shutting down."